Match your truck toolbox to your UTV with the new UTV Utility Box from QuadBoss. QuadBoss is pleased to announce that they have joined forces with Kenda to transform a brand new, stock Polaris RZR for the AIMExpo. 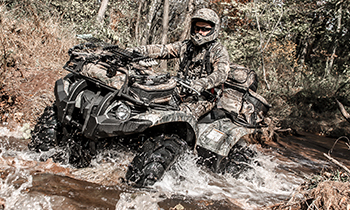 Hitting the trail just became more fun thanks to the new QuadBoss Boss Bucket Cooler. 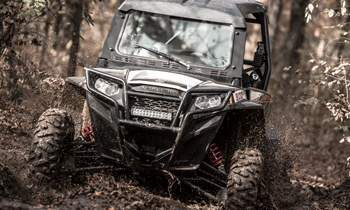 QuadBoss is a leading manufacturer of high quality ATV and UTV parts and accessories. 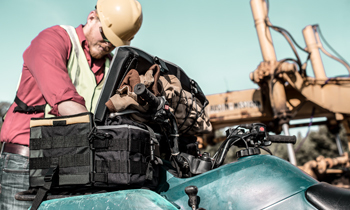 QuadBoss, a leading manufacturer of high quality ATV and UTV parts and accessories, is adding more seating capacity to your UTV with their new UTV Jump Seat. QuadBoss announced today that they will be sponsoring Fit-N-Wise again in 2017, becoming the #1 sponsor for the not-for-profit organization that provides, among other services, trackside medical care for powersports races, bull riding events and high school sporting events.